MENDOTA, ILLINOIS. 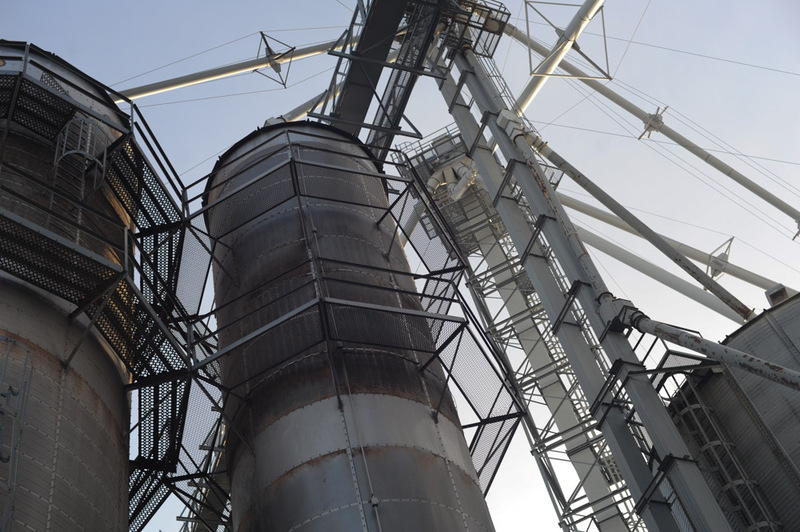 The lattice of the ladders and silos storing corn and soy at Northern Partners Cooperative on December 26, 2014. Corn and soy are the two main crops grown in the state of Illinois; corn and soy grown in the Illinois River Valley is shipped down the Illinois River, which flows into the Mississippi River before being sent on barges to world markets through the ports of Louisiana.